As a business owner, I share the puzzlement we feel when we look at the economic landscape and wonder what continuing uncertainty means for our businesses. Old, familiar landmarks have either disappeared or aren't as dependable as they once were. We remember too well the bank failures, the stock market crash of '08 and government bailouts to put too much faith in the market's recovery. On a daily basis we are bombarded by news of trade deficits, increasing taxes, acts of terrorism and political instability in the Middle East and Eastern Europe. If this is our new normal, how do we respond? First, our emphasis has to change from maintaining to reinvention. Look at what a failure to reinvent has meant to Sears and JCPenney. Have you considered how best to meet your customer's needs in a fast-changing environment? Do you and your management team spend time and effort aligning your company's products/services with your vision of the future? 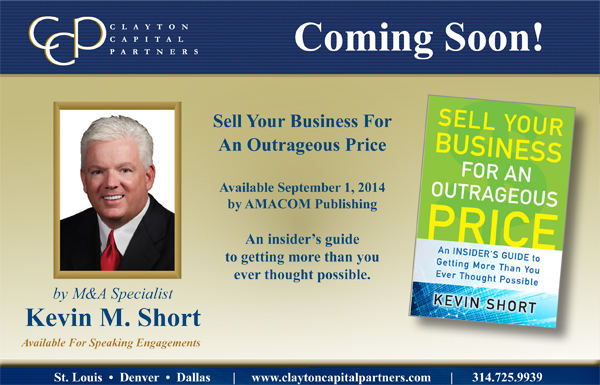 Have you considered that your company could be in a completely different business in 10 years? I suggest that the ability to be nimble and to be a visionary now top the list of qualities you must cultivate in yourself and in your management team. We used to count on stable prices in our commodities and a ready supply of labor. That's no longer the case. Do you know what affects the cost of the commodities your business relies on and have you put in place plans to minimize the affect of cost increases or to reduce your company's dependence on those commodities? What about credit? Are you prepared to use it effectively and do you understand what it will cost when you need it? Have you figured out how to attract and retain the management talent needed to keep your company ahead of change rather than struggling to keep up? Finally, what do rapid changes in technology—in all facets of our personal and business lives—mean for the creation, distribution and pricing of your product or service? As business owners we can no longer afford to be the originator of just one good idea. Our companies depend on us to be prepared to take quick action based on the time and effort we've put into anticipating future challenges. In my work as an investment banker, I meet owners every day. Some have the drive, temperament and ability to assume new leadership roles in this new economic landscape. Others are selling a portion or all of their ownership interests to private equity groups with the management expertise and capital necessary to position their companies for future growth. Still others are doing the legwork necessary to prepare their companies for sale to buyers active in today's M&A marketplace. As owners, we do have options, but while working harder longer may have worked back in Kansas, it is no longer enough. In today's Land of Oz, survival and success will belong to the fittest: the visionaries with the ability to act thoughtfully, creatively and swiftly. 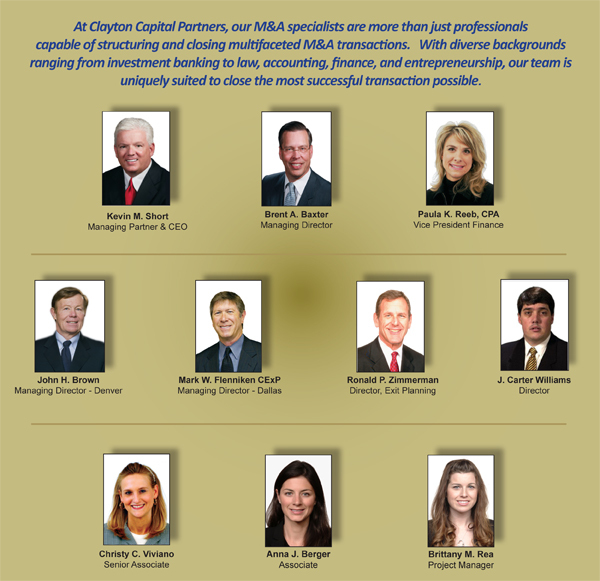 St. Louis-based investment banking firm specializing in merger and acquisition advisement.